Europe must transform its economies and make them sustainable. A sustainable economy is one that is resilient and provides a good quality of life for everybody. It stays within the limits of the planet and helps keep global warming within the well below 2°C threshold. Ensuring a rapid transition to sustainable economies in Europe is a challenge that requires bold leadership and strong commitment to action. But while we cannot improve – or even maintain – our well-being on a business-as-usual path, moving to sustainable economies offers huge opportunities. Finance is a critical cog of our economic system. WWF aims to change the way investments are made, bringing them into line with EU commitments like the UN 2030 Sustainable Development Agenda and its 17 Goals. Such a shift includes both mobilising financial support for sustainable economic activities and discouraging or banning support for harmful ones. As a part of Sustainable Energy Investment Metrics Project, WWF is raising awareness among investors about climate risks and opportunities. Public finance: Public financial institutions should lead by example and align their lending and investment policies with sustainability goals. WWF is working with European public financial institutions such as the European Investment Bank and the European Fund for Strategic Investments, and export credit agencies. EU private investment policies and regulations: WWF is engaging with EU policy makers to achieve an ambitious EU sustainable finance strategy and ensure that private investment flows become aligned with the Sustainable Development Goals and the Paris Agreement on climate change and broader environmental and social issues. 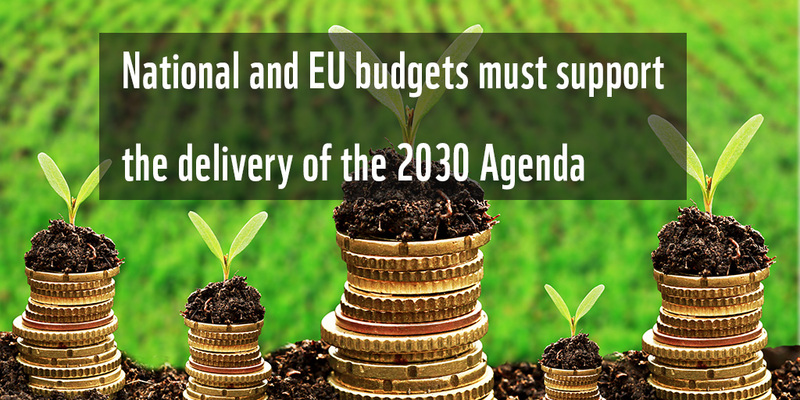 This includes recommendations on disclosure, EU green bond standards, investors duties, role of supervisory authorities and mainstreaming of responsible investment practices. WWF wants to ensure that the EU Sustainable Finance Action Plan by the European Commission is bold enough and that it’s properly implemented. Large European investors: WWF is engaging with European investors such as asset owners in order to help them adapt their policies, investment process and engagement on climate change risks and opportunities and related issues. 90% of Europeans believe that supporting an economy that uses less resources and emit less greenhouse gasses is important for the EU in order to exit the present financial and economic crisis and prepare for the next decade. It's a blow to the EU’s leadership claims on sustainable finance.